Cleveland, TN — Rhea Middle golf traveled to Cleveland Country Club on Tuesday, April 10 to play 9 holes with Cleveland Middle. The visiting Eagles were victorious with their eighth straight victory of the undefeated season by a score of 212-219. 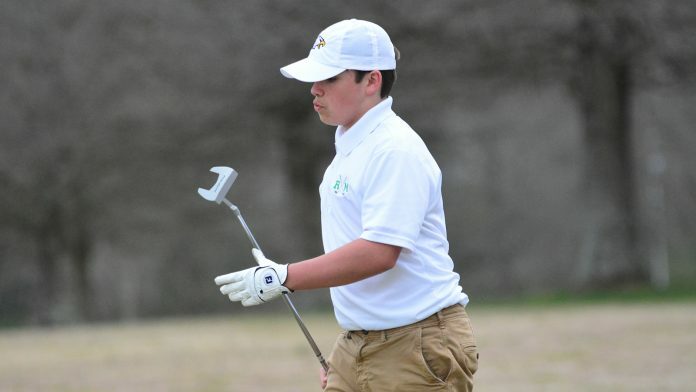 Rhea Middle was led by Matthew Rothwell and his score of 46. Owen McCosh, Blake Wheat, and Reagan Hinds scored 53, 55, 58, respectively. Individual golfer Pierre Westhoff of St. Jude Catholic won the medalist honors with a round of 45. The Rhea girls were defeated by Cleveland a score of 91 to 126. Hannah Nall of CMS won medalist with 37 through 9 holes. Becca Rogers and McKenna Cameron posted matching scores of 63. Rhea Middle boys will host Cumberland County on Thursday, April 12 @ 4 PM. There will be no girls match. Match information by Rhea Middle Golf coach Bill Chattin.